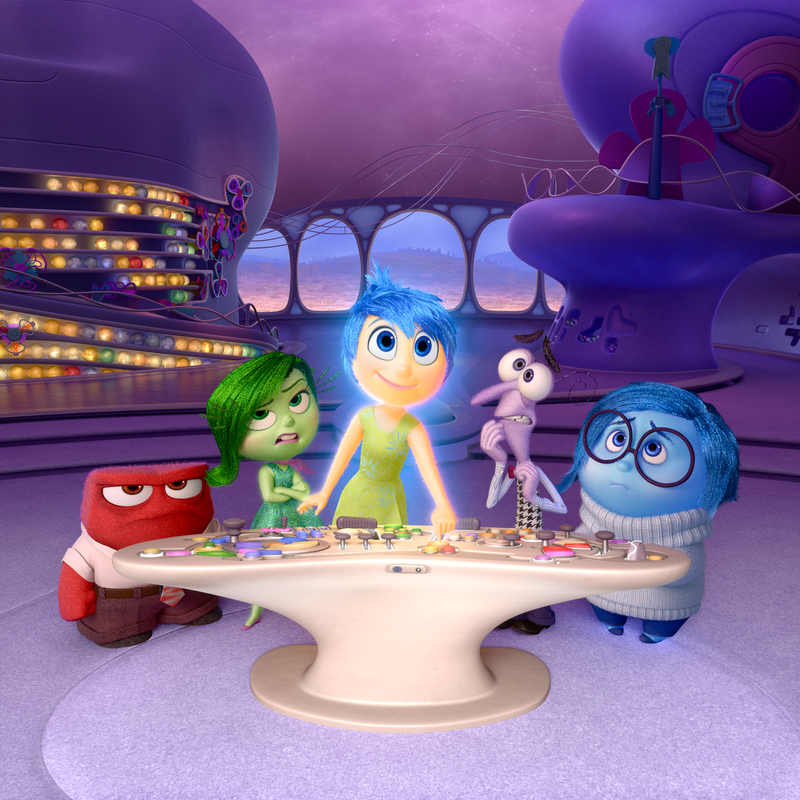 In my review for Pixar’s newest movie, Inside Out, I gave it a score of a 9.0. But I have since gone against my usual stance of keeping reviews the way they were written and decided to up it to a 9.5. Normally, I would be dead set against doing this, since I think, even if one’s opinion of something changes after reviewing it, you shouldn’t feel the need to apologize about how you wrote the review in question. But I’m also an exceptionalist, and believe in making exception for the exceptional. 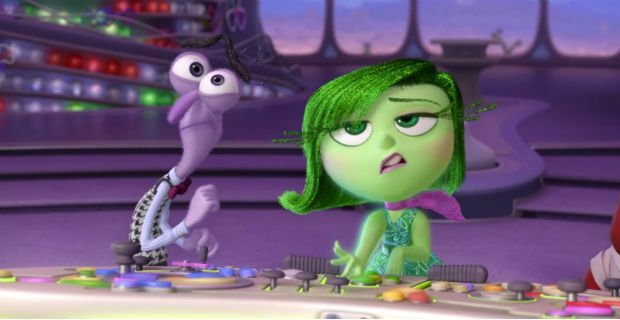 Inside Out is exceptional, and I feel the need to apologize. I’m going to be honest, this whole Inside Out 9.0 nonsense of mine has made me question even using these number scores (at least in regards to animated films. Video games strangely seem better suited for them). Who knows, maybe I’ll wipe those numbers clean one day and let the reviews stand on their own, without being shackled to a numerical score. But in the meantime, I have upped Inside Out to a “near-perfect” 9.5. Let me explain a little bit why I did this. In my review, my only real “complaint” (should I say “pretentious nitpick” instead?) was that there were a couple of moments that maybe didn’t flow as nicely as the rest, and that they “slow the pacing down slightly.” Let’s think about that for a minute. I didn’t say it was ever a slow movie, or that its pacing was bad, just that some parts were relatively slower to the rest. Wow, I was an A-hole for that one! I may as well have said “in its best moments it’s practically perfect, but sometimes it’s merely great.” What kind of complaint is that? Did I just double up on pretentiousness or what?! If I had a DeLorean and a Flux Capacitor right now I’d go back in time and give myself a Shoryuken. Like I said, I’m even thinking of dropping the scoring in regards to my reviews of animated films. But for now they’ll stay, because most people only seem to care about scores anyway. Plus, my OCD demands numbers, numbers, numbers! The point is Inside Out is an absolutely wonderful film, and I’ll be shocked if by the end of the year it isn’t still my favorite movie of 2015 (animated or otherwise). It’s one of Pixar’s best pictures, undoubtedly their most imaginative, and one of the best animated films in recent years alongside the likes of Frozen and The Tale of the Princess Kaguya. A 9.0 is a hefty score, and not one I take lightly. But I feel Inside Out deserved even better than what I initially gave it, and maybe I’ll even come to see it as a perfect 10 down the road (though I probably won’t change the score on the review again. Instead I’ll simply acknowledge my initial underrating of it and its continuing greatness). I repeat, normally I wouldn’t think of altering the score of a review. But Inside Out is something special. After I first saw it, something wonderful happened: I couldn’t stop thinking about it. It has captured my imagination, and I am more excited to see it again than I am to see most movies for the first time. There’s no shame in a 9.0 whatsoever, and most movies wish they could be a 9.0. But in regards to Inside Out, I feel it deserved a bit more. So now the review sits at a 9.5, but if some of my future writings indicate it might deserve even better, don’t be too surprised. I love this movie. I will watch it on Saturday. Hopefully I will love it as much as you did.